We've been going through boxes and tossing things like crazy. We hope after 7 years of living in an apartment (or at least this one) that this summer might find us living somewhere else. We shall see about that, but just in case, we are downsizing big time. My very first game counsel. 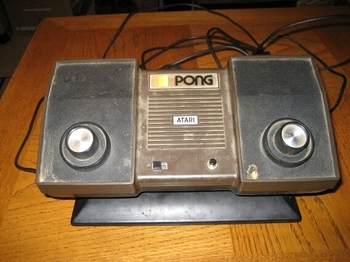 The original Pong (probably from around 1975) I loved playing this game! Last I remembered it still worked. 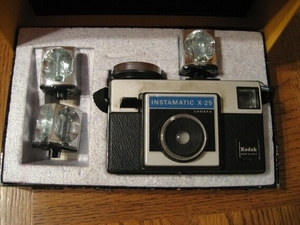 But it takes a special connector and 4 size D batteries so I haven't' been able to try it out. 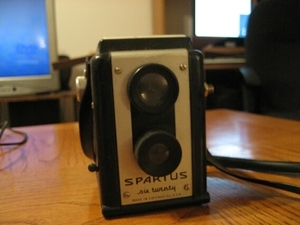 Then there were the old cameras. Some were made out of what must be steel. They were so heavy. 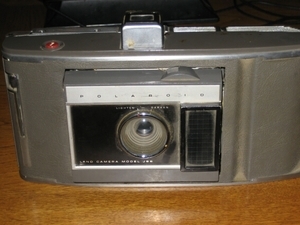 There was one camera that still has film in it, with pictures taken (I remember it being my child hood camera we used for still photos) Makes me wonder what is on it! Last but not least we found a box that had "Old blankets" listed on the side. Looking inside I found this. I also found the pattern. It's copyrighted 1992. 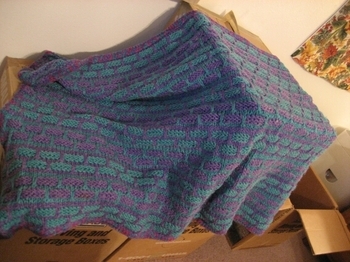 I remember making about 8 of these blankets in various colors around 1994. That was the last time I knitted for almost 11 years. How the Old becomes New! 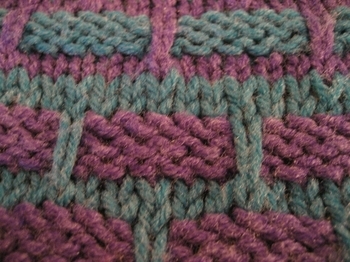 Just think, I was knitting 'cool' when 'cool' wasn't 'cool' And interesting enough, I wasn't knitting twisted knit like I did when I restarted in 2005. Odd. I must of untwisted them when purling. That is what dissapointed me about the Mason Dixon book. It seemed to me the only thing that was original in the whole book was the stories. 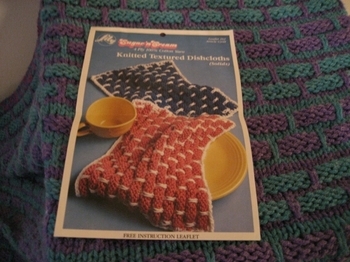 I have seen or found pretty much all of the patterns vintage knitting books. I have a neat Atari sticker I am going to slap on my tablet pc to cover up the gateway symbol hehe that ought to get some looks eh? The blanket is a great find! Just in time for your new little one.